Founded in 2014, Bitfinex is a Hong-Kong based cryptocurrency exchange that allows for the trading of more than 30 different cryptocurrencies. According to 24-hour market volume data at the time of writing, Bitfinex is the second-largest exchange in the world. 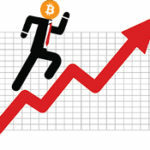 Bitcoin, Ethereum, and Bitcoin cash are currently the three most-traded cryptocurrencies on the exchange (respectively). Some of the more popular “altcoins” on Bitfinex are Litecoin, OmiseGo, and IOTA. Most of the cryptocurrencies listed on Bitfinex are only available for trade against BTC or ETH, although there are a couple who are listed for trade against the USD (according to Coinmarketcap). It is worth noting that Bitfinex is an exchange targeted more toward users with some kind of technical know-how. While there are many different kinds of trades that can be made on Bitfinex (limit, market, stop, trailing stop, fill or kill, one cancels other, hidden order, and post-only limit order), it is not the most user-friendly exchange. There is a bit of a learning curve for users new to trading digital assets. That being said, the Bitfinex website is mobile-responsive. Bitfinex has an app available for both Android and iOS devices. Bitfinex announced in August of 2017 that there would be changes in its service to US-based customers. As of August 12, the exchange was no longer accepting new account verification requests from US-based users and would soon be barring US-based users who already had accounts from taking place in future ERC20 token ICOs. 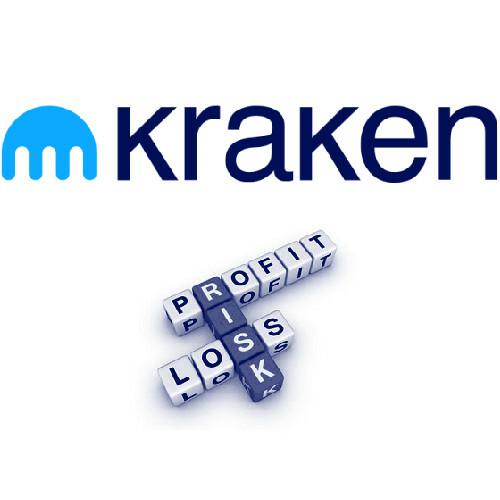 Among other factors, Bitfinex said that one of the main causes for this service change was the fact that “a surprisingly small percentage of [their] revenues come from verified U.S. individual accounts while a dramatically outsized portion of our resources goes into servicing the needs of U.S. individuals, including support, legal and regulatory”. Finally, Bitfinex added that it would be discontinuing its services to its existing US-based customers within 90 days of the announcement. Bitfinex is known for being the target of two successful hacking campaigns. The first occurred in May 0f 2015. 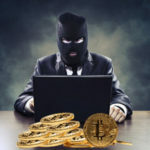 At the time, 1500 BTC (~US$360,000) were stolen. The hack was small enough that the exchange compensated its affected users without any significant trouble. Bitfinex was also the victim of the second-largest exchange hack in cryptocurrency’s short history. Bitfinex made the hack publicly known on August 2, 2016. The hacker(s) had stolen 120,000 BTC (roughly US$72,000,000 at the time). As recompense for their stolen Bitcoins, Bitfinex offered users BFX tokens, which were later bought back by the exchange. To become a fully-functioning user on Bitfinex, you must provide proof of residence, a piece of legal identification, and (for some accounts) a bank statement. Unlike many other exchanges, there are no caps on the amount of trading that you can do once you are a verified user. Bitfinex allows for both individual and institutional accounts, although the documents needed for an institutional account vary slightly. Within the Bitfinex exchange (and every exchange), “makers” create liquidity and “takers” remove liquidity. Therefore, the fees are structured to benefit the makers more–maker trades are charged with a 0.1% fee, while taker trades are charged 0.2%. The more that a single user trades within a month, the lower that user’s fees will be (whether they are maker or taker trades). The minimum trading requirement is quite high in comparison to other exchanges–on Bitfinex, trading no less than US$500,000 will earn you a bit of a discount. If you trade US$30 million, maker fees are eliminated, and taker fees are reduced to 0.1%. Deposits and withdrawals are free on Bitfinex unless a wire transfer is used to conduct them. Standard wire transfers must contain no less that US$20 and cost a 0.1% fee; express wire transfers, which are processed in one business day, have the same minimum requirement and are charged a 1% fee. Bitfinex also offers Margin trading and its according set of fees. So-called “Margin Funding Providers” collect a 15% fee; margin trades opened by a “hidden” offer are charged an 18% fee. If a user borrows from a Margin Fund Provider and then does not use the borrowed funds for any trading purposes, they will be charged “one full day’s interest”. According to Bitfinex, 99.5% of users’ digital assets are allegedly kept in cold storage across multiple locations (the remaining .5% stays in hot wallets for the purpose of market liquidity). Bitfinex’s cold storage also reportedly makes use of a multi-signature security system. Users have the option of enabling two-factor identification on their accounts. SMS and email notifications are also available, but they are not encrypted. Bitfinex offers 24/7 support, but only through email. Bitfinex’s support team typically responds within 12 hours, although responses have been known to occasionally take longer. Additionally, there is a support forum on which many questions have already been answered. Unfortunately for Bitfinex, its support team has gained a reputation for being disrespectful and unprofessional in their dealings with users. While Bitfinex has a reputation as a trustworthy exchange that looks out for its users, this is a problem that must be corrected. Bitfinex is a trustworthy and very practical exchange. However, the fact that it is removing services for US customers provides an obvious barrier to much of the English-speaking cryptocurrency world. However, if you are a crypto trader located elsewhere in the world, Bitfinex is a good option. As it has been the victim of multiple attacks in the past, be sure that you do not store your cryptocurrency in Bitfinex’s online wallet long-term.